The concept of a jewelry "mall" began in 1912 in one building on Wabash Street in Chicago's downtown Loop location. Today, Chicago's Jewelers Row, also known as the Diamond District of Chicago, spans two blocks with jewelers from all over the world and has become an official landmark area, designated in 2003. The number of vendors is too numerous to mention them all, however, here are some of the main attractions. Jewelers Row is located on Wabash Avenue just east of Chicago's famed State Street, between Washington Street and Monroe Street. Millennium Park, Chicago Cultural Center and The Art Institute of Chicago are nearby, within walking distance. From north Chicago, take the Red Line south to Lake. From south Chicago, take the Brown Line at Adams/Wabash north to Washington/Wabash. Chicago buses are also available for travelers heading to Jewelers Row from the west. There are several paid parking garages and lots on Wabash—Grant Park North Garage is the largest and closest. Some jewelers have valet parking available. Metered street parking is extremely limited. It is recommended to take public transportation. Most buyers and sellers of jewelry on Jewelers Row are located in this historic 21-story building, which has over 30 specialty jewelry shops, representing over 30 countries. You'll find many items here including watches, diamonds, pearls and jewelry repair services. Hours: Open Monday—Saturday, 9:00 am to 5:00 pm. ; closed on Sundays -- some individual jewelers have varied hours. Loose diamonds are the specialty at this jewelry wholesaler, which is open to the public. With prices as much as half off retail, this mall has vendors that include apprentices, artists and seasoned veterans, some of whom are part of the Gemological Society. 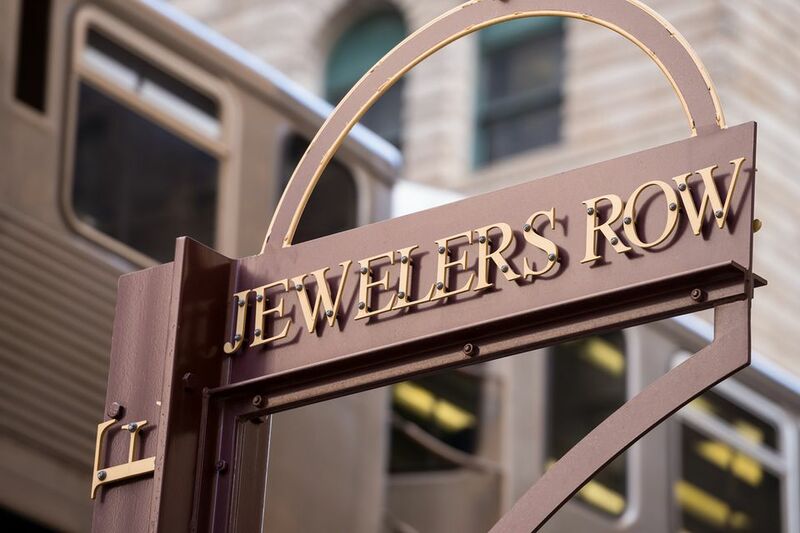 Jewelers Row is a designated Chicago landmark and a major hub of the jewelry trade. Jewelry, watchmakers, craftsman, pearl dealers, you name it -- any kind of bauble imaginable makes its way through Wabash Avenue. Many of Chicago's significant heavyweight architects contributed to the designs such as Burnham, Adler and Sullivan.